Let our design team help bring your ideas to life. 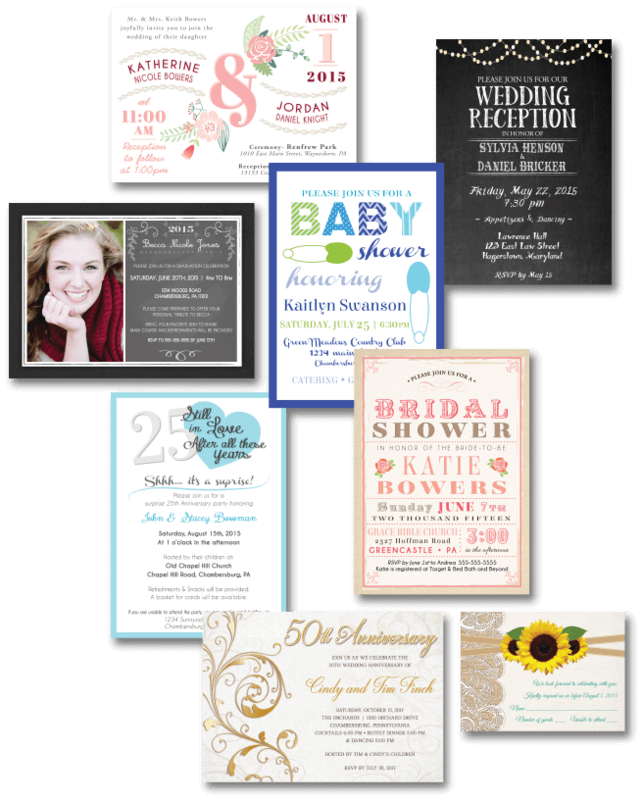 Custom invitations allow you to send out something unique and memorable for all sorts of celebrations including: weddings, baby showers, birthday parties, bridal showers, graduation announcements and more. We offer a variety of papers with full color printing. The standard size is 5”x 7” and comes complete with a blank envelope. We also offer return address printing on envelopes. Ask about other sizes, paper options and pricing.